youth, all Azeem Banatwalla can see around him are problems. He’s tried ignoring them, accepting them, even running away from them, but they refuse to leave him alone. So he’s taken that forever companion and turned it into something hilarious. Presented by LVC Comedy, Comedian Azeem Banatwalla will be in Goa for his show titled ‘Problems’.A show primarily written while in a car stuck in traffic, ‘Problems’ is a look at teenagers, overpopulation, the government, humanity, and birds (you read that correctly) through Azeem’s kaleidoscope of cynicism, acerbic wit, and other words from a thesaurus. ‘Problems’ is funny, provocative, dark, and occasionally profound. It’s a show that challenges the way we look at society, in the hope of finding a solution. To find out more, you’ve got to check this show live at Cohiba Sinquerim, from 9 pm to 10 pm on Wednesday, November 7, 2018. A26 will performlive after his show along with DJ Gannon. Azeem is one of India’s top comics and sharpest comedy writers, known for his sharp wit and intelligent stand-up. With excellent command over the English language, he’s performed across India, Asia, the UK and Australia, and is one of very few Indian comics with international credits and truly universal material that transcends cultural boundaries. 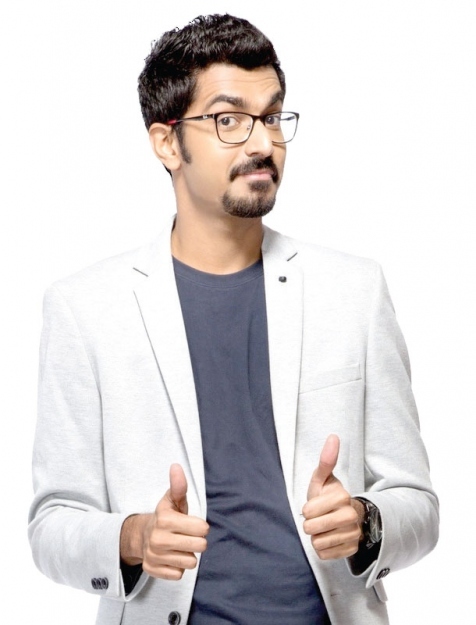 He was one of the first few comics in India to land a stand-up special (Cometh the Hour) on Amazon Prime Video, which garnered much critical acclaim. His second special is expected in late 2018. He also has international TV and radio credits to his name, having appeared on ABC’s ‘Comedy Up Late’ (Australia), and ABC’s ‘Comedy Bites’. He was the headlining act on both the Comedy Zone Asia lineup and Indian All-Star Showcase for the Melbourne International Comedy Festival 2018, along with featuring on the MICF Roadshow across Australia, with a total of 42 shows over 45 days. He was also a guest performer at several showcases on the Edinburgh Fringe Festival 2017. As a writer, Azeem has a strong journalistic background, having written features and columns for publications including National Geographic Traveller, The Man, TechTree, The Deccan Chronicle, Scroll, and Indian Video Gamer, amongst others. At EIC, he’s the lead writer and creative director of the news comedy show ‘EIC Outrage’, along with writing for sketches and branded content, and has written for the likes of Shah Rukh Khan, Ranveer Singh, Arjun Kapoor and Karan Johar, amongst others.